After working across the region's waters for many years, GFT holds a large amount of data from each catchment. The use of Fisheries Management Plans (FMPs) is a useful way to collate this data and produce a meaningful future management strategy for a fishery or river system. 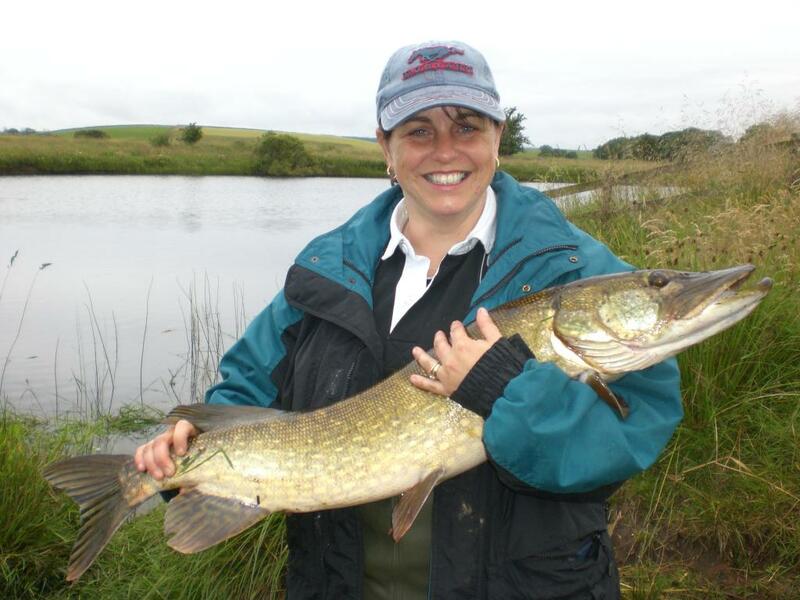 The overall aim of a Fishery Management Plan is to produce a long term management strategy, incorporating all current fishery issues and management. For a river catchment this would include the river, tributaries and still waters. Plans may also include aims and objectives, a description of the fishery including an assessment of current stocks, apparent limiting factors within the fishery and a monitoring plan and review process. A vital element within the plan is the collection of basic information about the catchment or subcatchment including relevant historical and recent data relating to the catchment. In this way any gaps in knowledge of the system will be identified. It is essential to ensure that FMPs are working documents that can be used by stakeholders, agencies and other interested parties. GFT have produced FMPs over the years but with various success. Many lessons have been learned and new online versions are being trialled to see if they could be more effective. There is much controversy surrounding the use of hatcheries in fishery management, especially regarding bad practice. 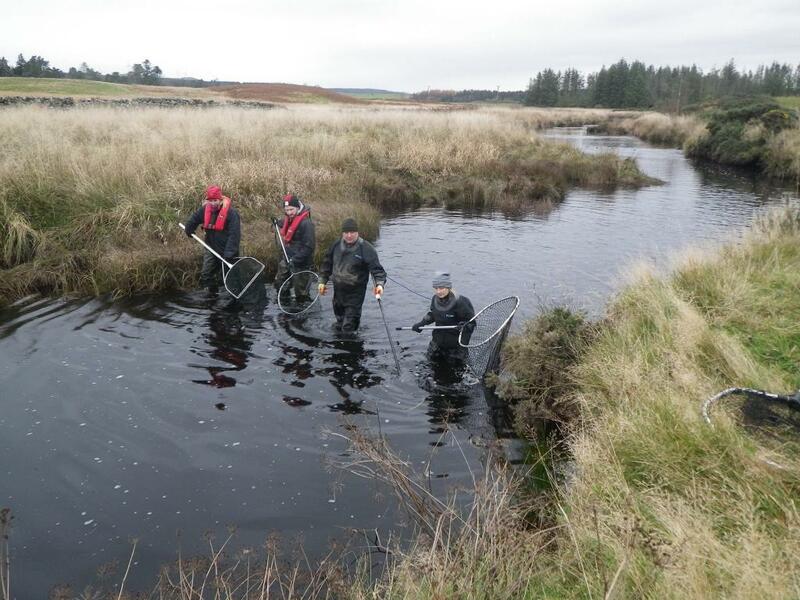 Examples of this include stocking fish into areas which already contain healthy populations of wild fish or stocking fish from one catchment or sub-catchment into another. Many studies are now showing that fish returns from hatchery programmes are very low and in many cases it would be better to leave the fish to spawn naturally. It is known that hatcheries can actually contribute to the decline in wild fish, particularly when fish have been introduced from different catchments. Hatchery fish have also been known to out-compete wild stock, lower the fitness of potential offspring when crossed with wild stock and the progeny have even failed to survive when stocked into the wrong places. Much of this has been highlighted through genetic studies, where fish of hatchery origin may fail to ascend obstacles such as waterfalls as a result of the wrong 'genetic make-up'. Hatchery programmes do not directly increase rod catches as hatchery produced offspring will not produce significantly greater return rates than if the adult fish were allowed to spawn naturally. In fact, studies have shown that survival rates may be severely diminished, particularly smolt survival at sea. 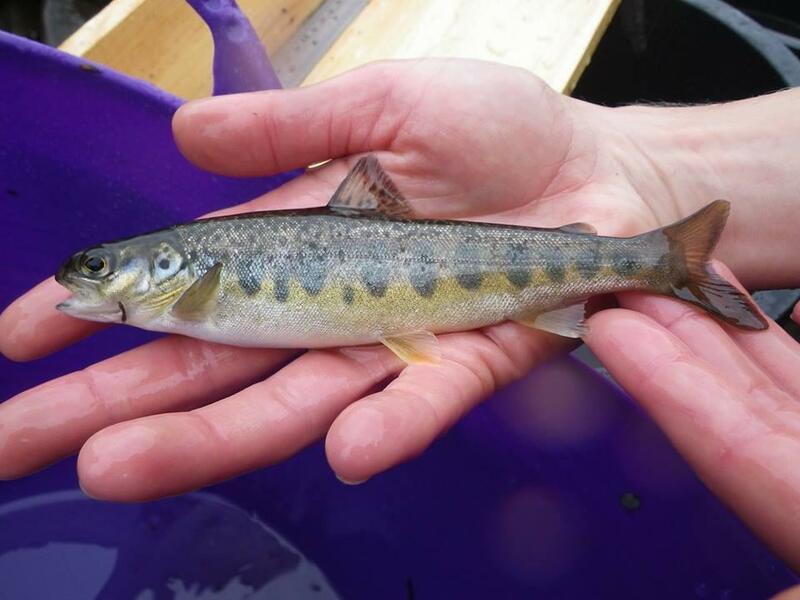 In 2011, RAFTS and the Spey District Salmon Fishery Board published some interesting results of a detailed genetic based study that showed that from annual stocking of well over 1,000,000 eyed ova and fry, this stocking only produced 50 salmon to the anglers out of a total of over 8000 caught each year. It also has to be assumed that all the broodstock collected out of the river would naturally have produced many fish if they had been allowed to spawn naturally. Hatcheries can, however, be a useful tool in some types of fisheries management. In situations where the natural population has become critically low, man may step in to prevent in-breeding within the remaining population or re-establish viable populations in areas where populations have become extinct or very low. This is the basis of all of the stocking which GFT now undertakes. 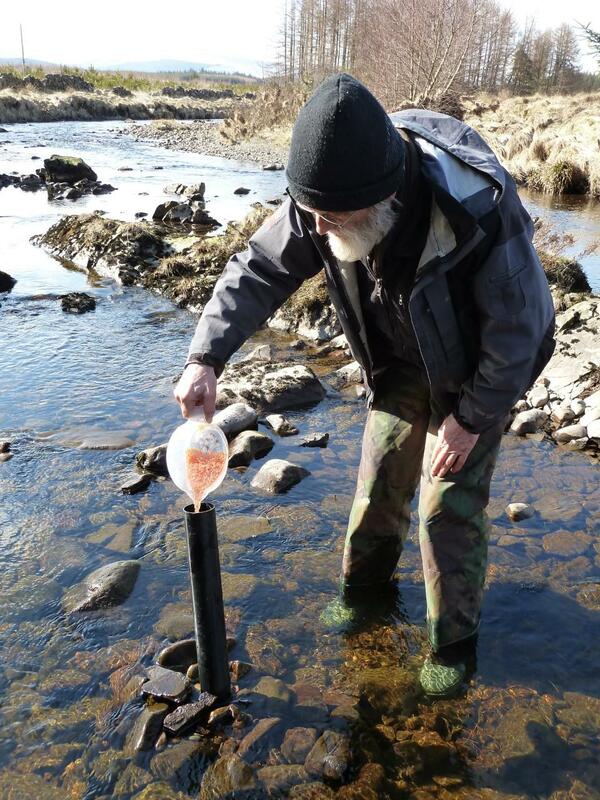 We stock watercourses with suitable habitat where acidification in the past has devastated the natural fish population through poor egg survival but where water quality has now improved to a level that introduced fish can survival. GFT has developed a code of best practice to counteract problems associated with local hatchery programmes. This considers issues such as biosecurity, genetics, stocking with native stock and the stocking at different stages of development (e.g. eyed ova versus fry). 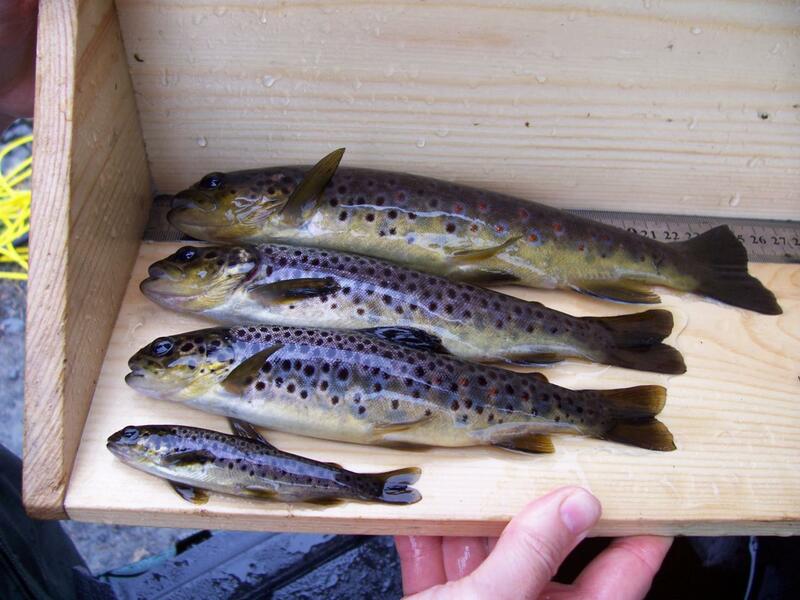 Broodstock fish are collected each winter prior to spawning using a range of methods including electrofishing, rod and line, netting and fish traps. Broodstock are separated into catchment and sub-catchment categories so that their progeny retain their natal genetic integrity and they are stocked back into their natal sub-catchment. Most stocking programmes across Scotland now follow the same recognised best practice as GFT. This has resulted in most hatcheries reducing their output or even closing down. Locally GFT provides guidance regarding stocking locations and best practice to the Cree and Luce DSFB. 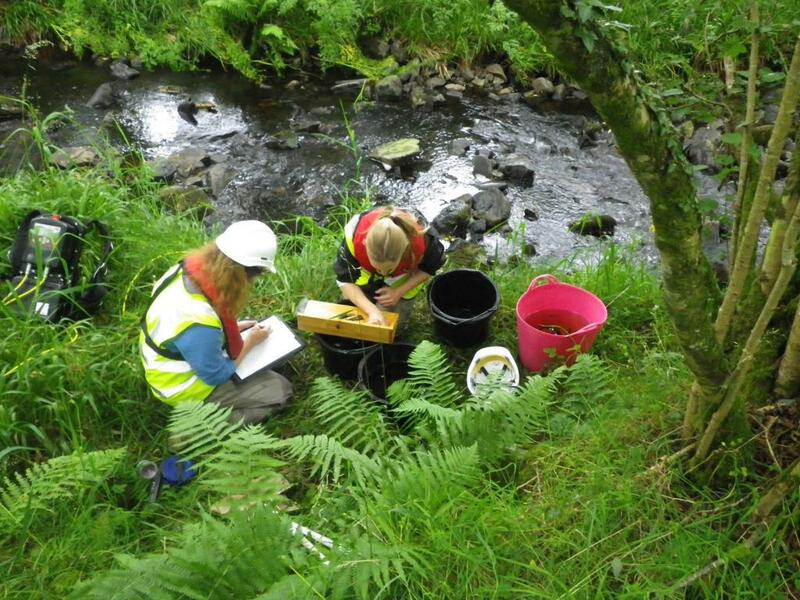 We assist in broodstock collection on the Dee and we run a hatchery on the Bladnoch.